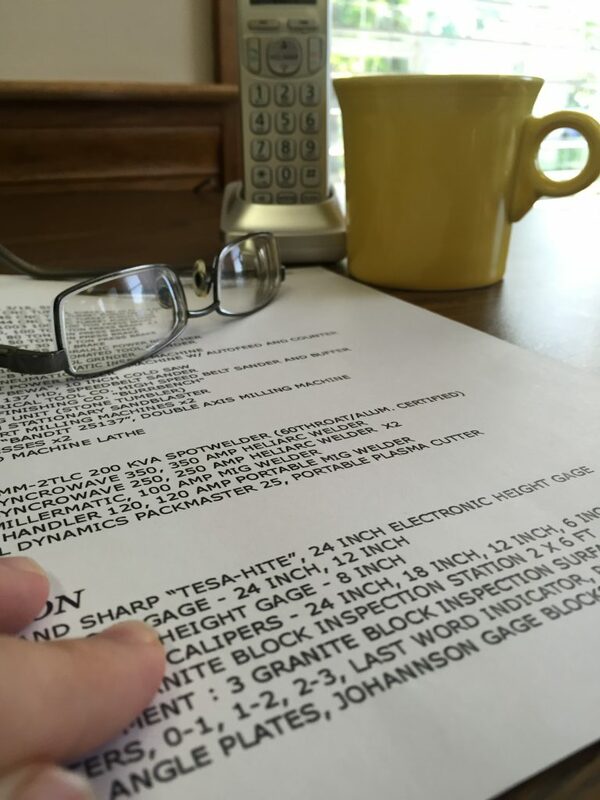 CSH fabricates parts using aluminum and steel of all grades in thickness from .018 to .187 and stainless steel of all grades in thickness from .018 to .125. CSH also welds in thickness up to .500″ and spot welds in thickness up to .250″. Enclosed in the bridge frame, the drive system of the AE-NT series features a single ac servo motor with a heavy duty precision air-cooled ball screw and link assembly. The unique drive system delivers up to 370 hits per minute on 1” centers with + – .002 accuracy. 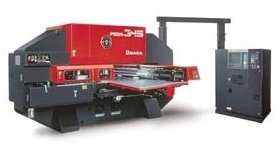 The AE-NT series also provides high-speed marking at up to 900 hpm. The drive mechanism is designed with hundreds of fewer components than any hydraulic system – resulting in greater reliability/uptime and reduced maintenance costs. The drive has been tested at over 100 million hits at full tonnage with zero failures. CSH Industries owns and operates 2 of these machines. 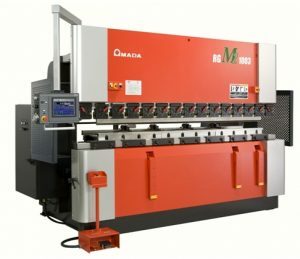 The Amada RG M2 1003 100 ton hydraulic press brake is equipped with a high-performance NC unit by which the movement of the machine can be controlled automatically with a simple input operation along with a dramatic increase in machine speed. 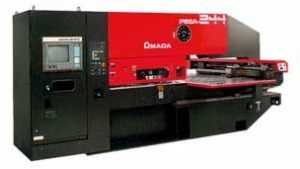 The Amada RG-100 100 Ton Press Brake is the work horse of the press brakes; cycling thousands of parts per month, year after year. 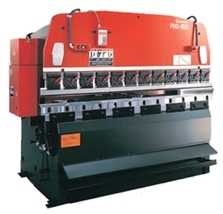 CSH Industries owns and operates 2 of these machines.CSH Industries also owns 3 other Press Brakes with tonnage outputs of 80 tons, 50 tons and 30 tons. For our complete machine listing please view our CSH Facilities List.